G. P. R. JAMES, ESQ. REVISED AND CORRECTED BY THE AUTHOR. THE HALL AND ITS DENIZENS. THE JOURNEY AND THE VOYAGE. THOSE WHO WERE LEFT BEHIND. THE FOX IN THE SNARE. THE ORDERING OF THE BATTLE. 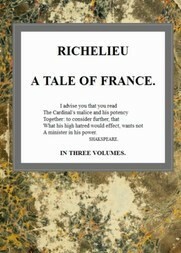 The Huguenot: (Volumes I-III) A Tale of the French Protestants. Attila. A Romance. Vol. II. The Desultory Man Collection of Ancient and Modern British Novels and Romances. Vol. CXLVII. Attila. A Romance. Vol. I.